DEARBORN, Michigan, April 30, 2012 (ENS) – U.S. paper currency, retired from service and shredded, is about to join soybeans, denim and plastic bottles in new Ford vehicles. Ford executives say that because the price of petroleum, which is used to manufacture plastics, is skyrocketing, they are seeking new sustainable materials to use in Ford cars and trucks. “The potential to reuse some of the country’s paper currency once it has been taken out of circulation is a great example of the kind of research we are doing,” said John Viera, Ford’s global director of Sustainability and Vehicle Environmental matters. When Ford started researching sustainable materials in the early 2000s, petroleum was relatively cheap – a barrel of oil was $16.65. Earlier this year, a barrel of oil hit a high of $109.77. As a result, the phones are ringing all day long for Ford’s sustainability research team. As the business case for using sustainable materials strengthens, interest is growing in some unexpected and interesting sources, including the shredded paper money. Ideas once considered unrealistic now merit serious consideration. Currency paper is composed of 75 percent cotton and 25 percent linen. Part of the appeal of retired currency is that is so plentiful. 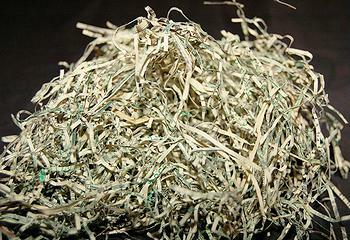 In the United States today, 8,000 to 10,000 pounds of retired paper currency is shredded every day – more than 3.6 million pounds annually. Years ago, currency that was taken out of circulation was burned, but because the inks used in the printing process are not good for the environment, today, most of the shredded money is compressed into bricks and landfilled. Now, Ford is experimenting with using it in new cars. 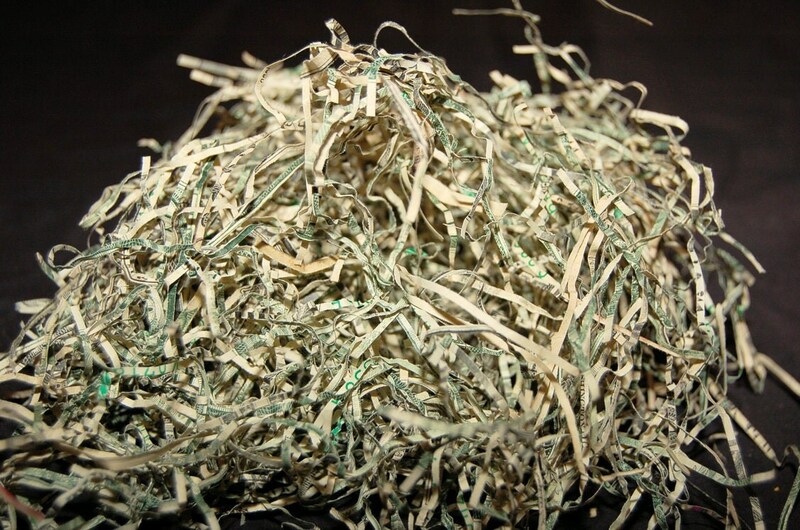 Shredded currency is being considered for interior trays and bins, said Mielewski. Soybean-based foam material, used in seat cushions, backs and head restraints, saves Ford an estimated five million pounds of petroleum annually. The new Ford Fusion contains the equivalent of slightly more than two pairs of average-sized American blue jeans as sound-dampening material to help eliminate unwanted road, wind and powertrain noise. Ten pounds of scrap cotton from blue jeans, T-shirts and sweaters go in to the dashboard of each Ford Escape. The equivalent of 25 recycled 20-ounce plastic bottles helps make the Escape’s carpet. The Ford Flex has wheat straw in its plastic bins. The new Ford Focus Electric, just now arriving at the first 65 U.S. dealerships, uses a wood-fiber-based material in its doors and recycled plastic bottles in its seat fabric.